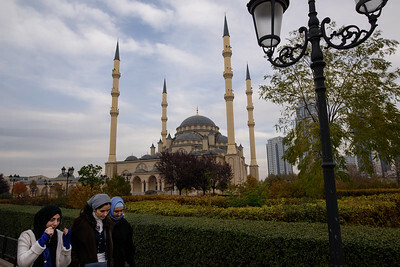 Nothing ever leaves the watchful, apparently sympathetic eyes of Ramzan Akhmedovic Kadyrov, the one and only owner of this Republic. 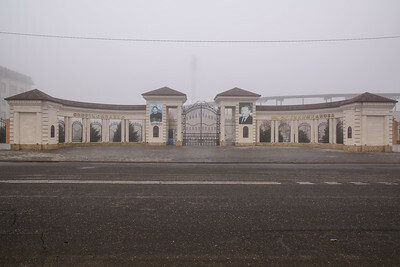 The Sultan Bilimkhanov footbal stadium in Grozny, on a very eerie lonely, foggy and silent day. 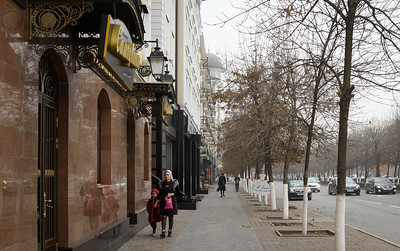 A veiled mother with her daughter walk on Grozny's wide sidewalks. 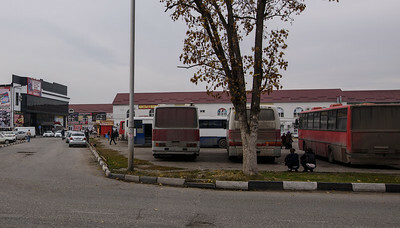 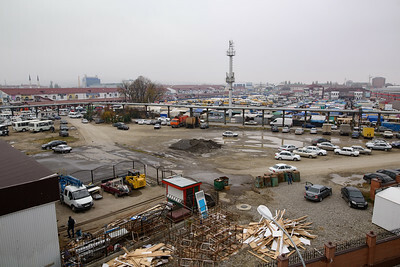 Grozny's market and unofficial bus station seen from afar. 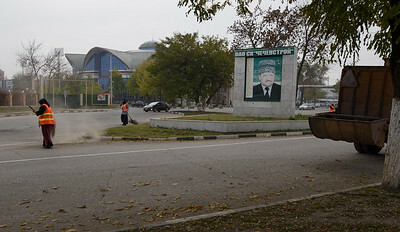 Akhmad Kadyrov, long dead, still on watch while road cleaners mop the never ending dust of Grozny's roads. 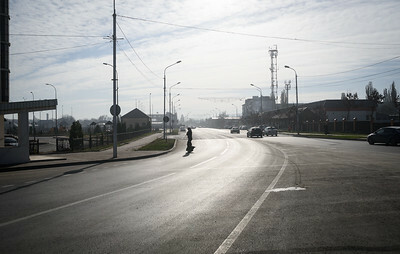 A narrow path between past and future. 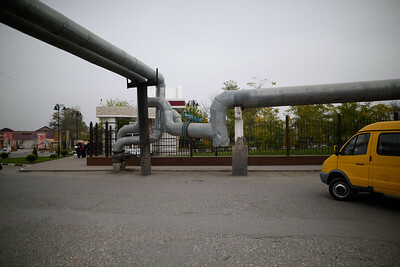 The old styled heating pipes on the right, still with their scent of soviet planning, contast starkly with the black luxurious fence that guards the Colosseum Arena, on the left. 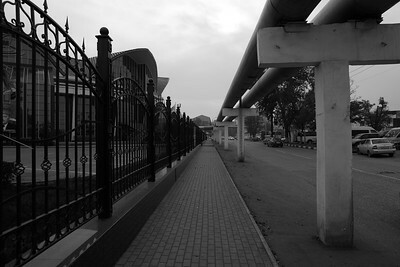 The juxtaposition seems to suggest how thin is the path between tradition and future the cechens walk, and how the two visions inexorably converge. 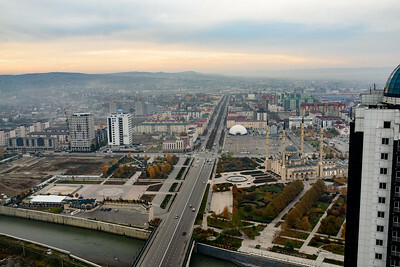 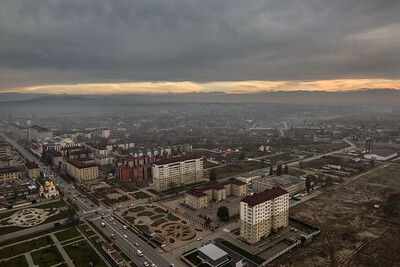 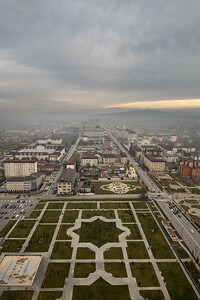 Grozny's roads getting lost through fog in the distance. 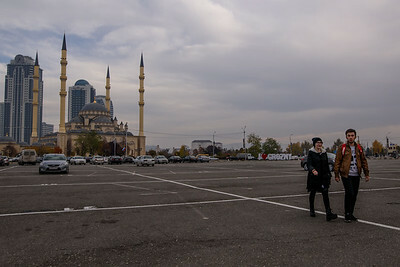 Female chechen traditional dancers caught mid performance. 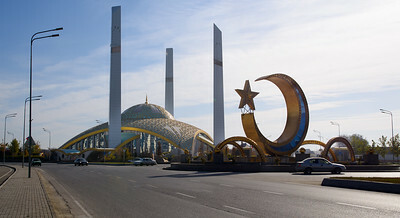 The odd one out is not only beautiful, but has piercing eyes that show no embarrass, no timidity, just a detached resolution. 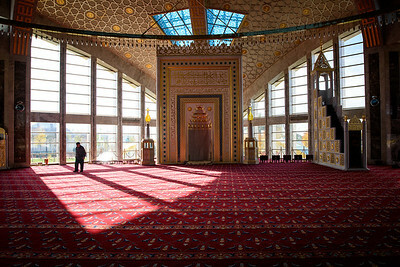 Leading chechen traditional dancer offering himself to the camera after training. 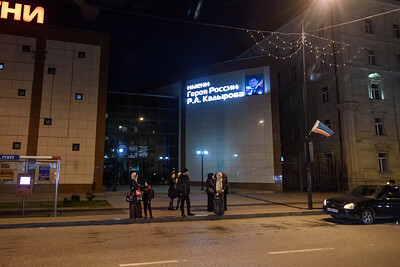 Despite being so minute in person, and on stage, his pride borders on haughtiness, as if he could command the entire stage, and audience, by himself. 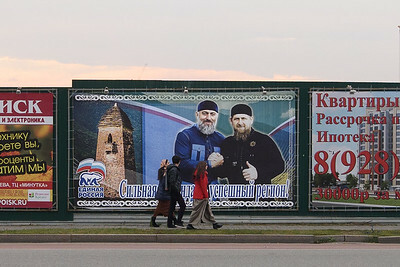 In a way, he epithomizes the chechen people: limited in numbers, but always ready to fight till the last drop of blood for their traditions and pride. 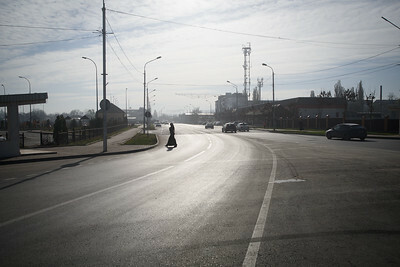 A darkly dressed lady crossing a road, and appears like a sun spot on the light bathed scene. 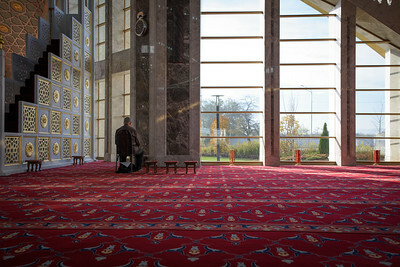 An old man prays alone in the mosque facing a wall, while outside the late autumn feels like early spring. 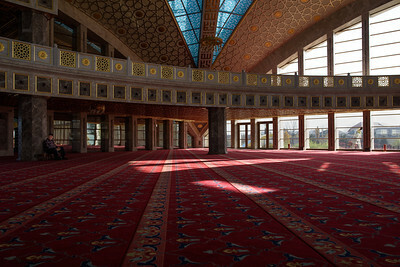 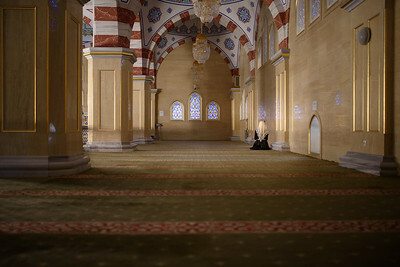 Another old man in the mosque, praying in isolation.